My birthday was on the 22nd of March so we decided to go to a nice restaurant to celebrate. We decided to go to WELP in Eindhoven as we heard a lot of good stories about the place. 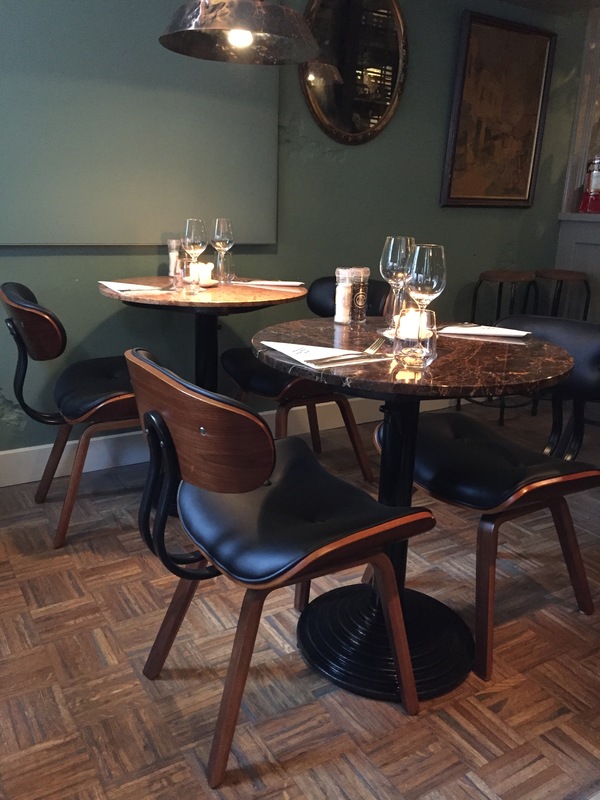 The restaurant looks very elegant, they have very comfortable chairs, their menu was designed in a magazine format which I really liked. One thing we found a bit weird is that they use fake flowers instead of fresh ones on the table, that doesn’t really match with the other interior in my opinion. We took the WELP menu which was 39.50 Euro per person, you will have a wide selection of starters and desserts, the main course was either meat or seafood. Because it was the first time we went to WELP, we wanted to try some more dishes therefore we took the WELP menu. 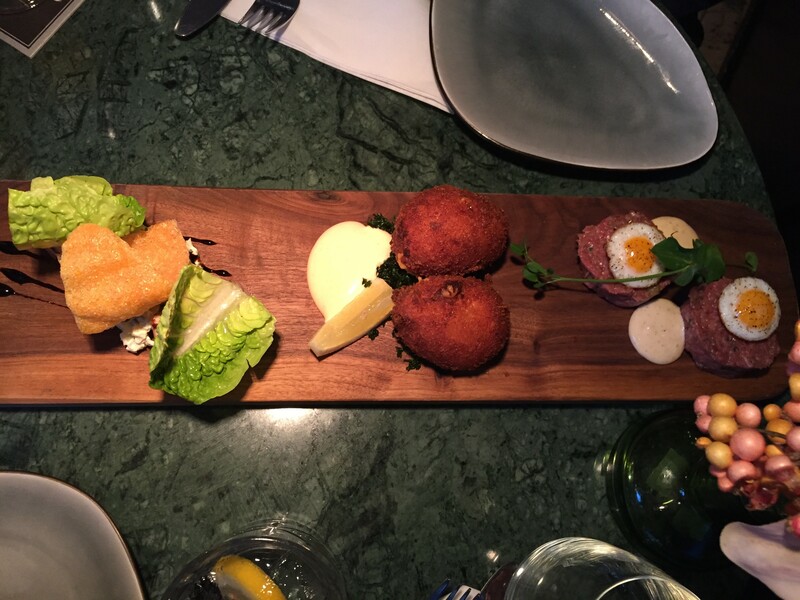 The starter was a platter with a selection of their starters: homemade pumpkin soup, tuna with potato salad and lettuces, their signature Dutch shrimp croquette, and beef tartar. My favorite dish was the Dutch shrimp croquette, it is also rated as the best croquette in Eindhoven. I didn’t like the tuna so much as I thought the flavoring could be enhanced. For the main course I picked the shrimp, scallops with potato puree, Bram had tenderloin with fresh vegetables and pan fried potatoes. We didn’t need to take an extra side dish (e.g. fries or salad), the portion was good for a main course. 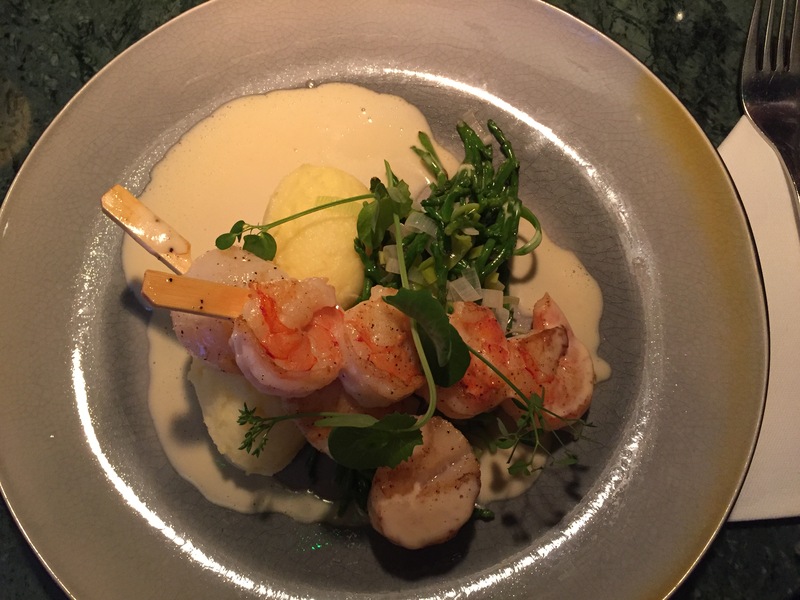 However, the skewers with the shrimp and scallops are totally unnecessary in my opinion, it didn’t make the plating look better. Food-wise, it was great, dishes were cooked to perfection and I really enjoyed it. Last part was dessert, we had pepper mint mousse with fresh mango and mascarpone, raisins with white chocolate and corn flakes, ganache with salty caramel, vanilla ice cream and hot chocolate cake with strawberry cream. 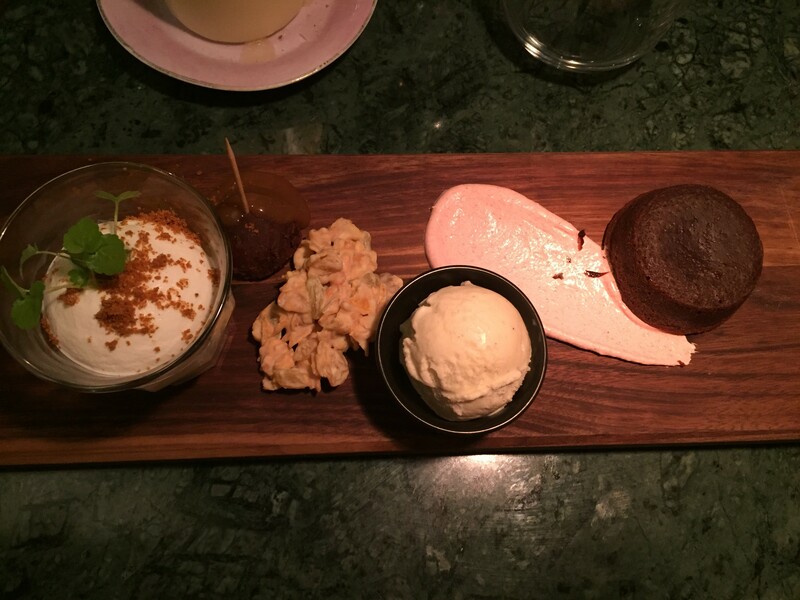 We thought the dessert pallet was really the highlight of the meal. Especially the peppermint mousse with fresh mango and mascarpone was a pleasant surprise. It is needless to say that we had a very nice dinner, but I doubt whether I would take the WELP menu again next time due to its (high) price. At 1910, you would pay about the same, but food is a bit better in my opinion, if you are interested, you can read my reviews of 1910 here. 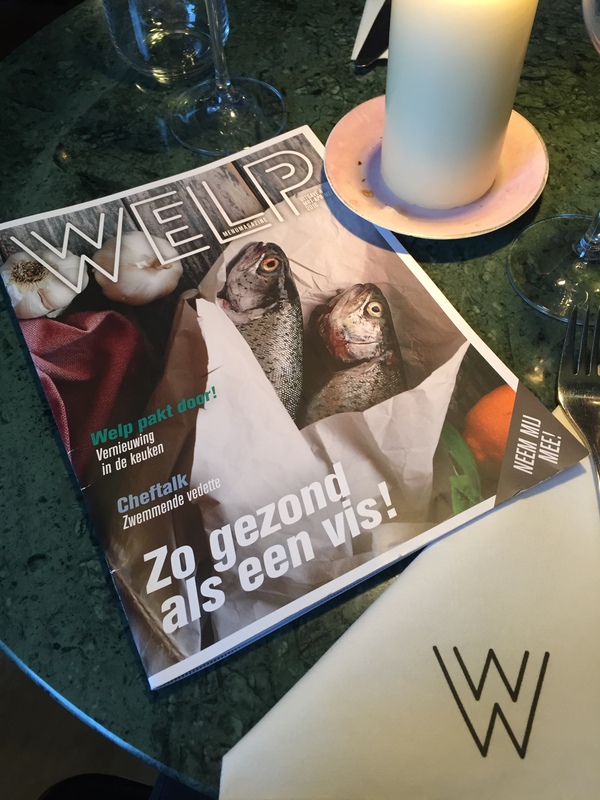 Maybe I will try the surprise menu at WELP next time which is a 3-course menu for 32 Euro. Last but not least, the service was very good at WELP.